WTF?! 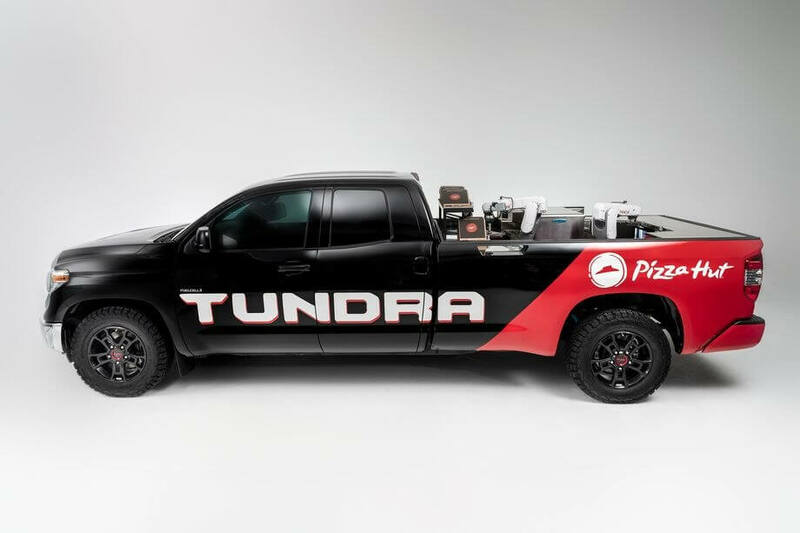 If you thought using a pair of sneakers to order pizza was one of Pizza Hut's stranger ideas, they're looking to surprise you yet again with the "Tundra Pie Pro," a concept delivery truck that houses a full robotic restaurant crew in the back. While the technology industry typically leads the charge when it comes to AI and automation innovation, the food service industry has a lot to gain from experimenting with the tech as well. That's precisely what Pizza Hut is doing now, according to an Engadget report. The pie-making retail chain is currently looking into the viability of a pizza delivery truck with a full robot restaurant crew set up in the back. The robots seem capable of handling the entire process of baking without any human intervention. The truck, called the Tundra Pie Pro, is a result of Pizza Hut's new partnership with Toyota. The Pie Pro would be able to fully bake a pizza in a mere seven minutes. Interestingly, if the Pie Pro ever becomes a reality, it will run entirely on hydrogen. With that said, for obvious reasons, the Pie Pro is not a real truck at the moment, and it probably won't be anytime soon. To be clear, robot kitchens do exist, but they're rare and seemingly expensive to develop. And that's not to mention the logistic headaches one would face when hauling around a full robotic kitchen crew in varying weather conditions. The pictures we've seen so far of the Pie Pro don't show a roof of any kind, so unless customers want soggy pizza, the concept truck's current design iteration probably wouldn't be of much use. Still, it's certainly a unique idea that could overhaul the pizza delivery market in the future, provided the design and technology behind it advance enough to make it possible.